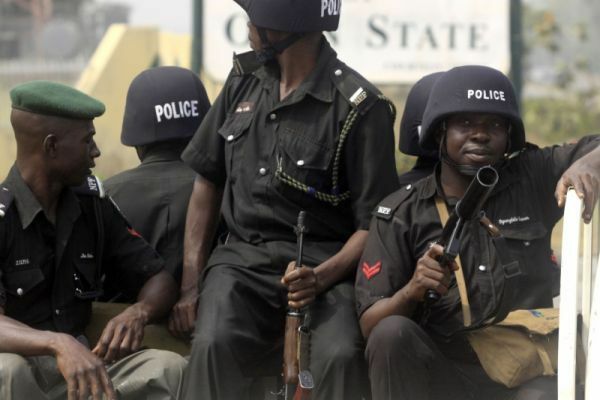 The police have banned vigilance group from the streets as well as wearing of any insignia of political party on election days in Kwara. The Commissioner of Police in Kwara, Mr. Bashir Makama, issued the ban in Ilorin at a stakeholders’ meeting organised by the Independent National Electoral Commission (INEC) ahead of the 2019 general elections. “On election, I don’t want to see any vigilante member in uniform parading the streets in Kwara,’’ he said. The commissioner also warned politicians not to wear or put on any insignia of political party on election day. According to Makama, any politician caught will face the wrath of the law. “Canvassing and soliciting for votes and wearing of a party insignia in polling areas will not be allowed,” he said. The commissioner further warned politicians to caution their supporters against violence on election day. “Any political thug arrested on election day would be made to face the music with their sponsors,” Makama said. Makama gave an assurance that the police would provide adequate personnel to accompany INEC staff and sensitive materials to voting and collation centres. He also said offering food to voters at polling centres would not be allowed as this would amount to inducement. The NYSC Coordinator in Kwara, Mrs Esther Kupolati, assured the stakeholders of the readiness of the corps to participate fully in the elections. She, however, appealed to all stakeholders to ensure the safety of corps members that would participate as ad-hoc staff during the elections. Kupolati said corps members constituted more than 50 per cent of the ad-hoc staff INEC would use for the elections. She appealed to parties and their candidates not to offer inducement to the corps members. The IPAC Chairman in the state, Abdulmumuni Onagun, pledged the support of all political parties to the success of the elections in the state. Onagun, who is also the state chairman of Labour Party, said all the 29 political parties that signed a peace accord would abide by it. The News Agency of Nigeria (NAN) reports that the meeting was attended by representatives of security agencies, leaders of political parties, members of civil society organisations, religious leaders and persons living with disabilities.